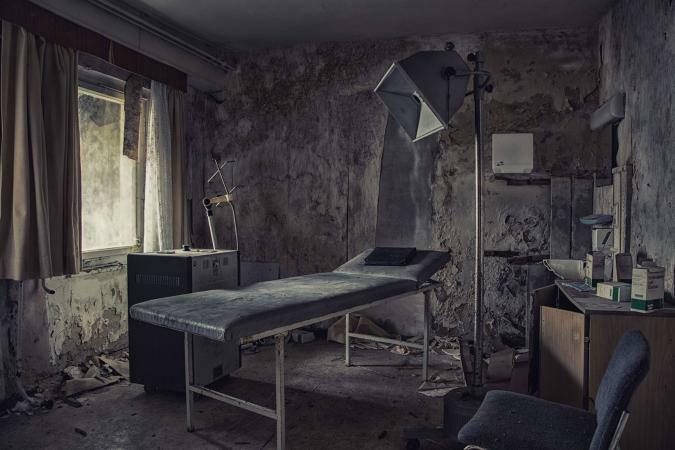 The world's most haunted places include hospitals filled with dark stories of human suffering and in some cases, sadistic torture. Many people claim to have encounters in haunted hospitals. They believe restless spirits are trapped in perpetual misery forever doomed to haunt these dark places. 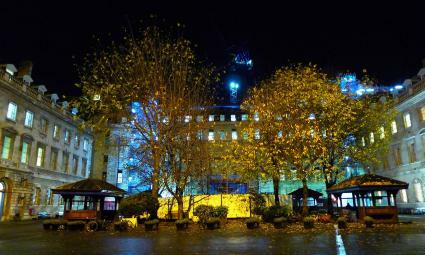 St Bartholomew's Hospital (Bart's), the oldest hospital in London, was established in 1123 and is still in operation. As you might imagine, there are many ghost stories about the hospital. A well-known ghost in the hospital is believed to be the spirit of a nurse murdered in the elevator. A mentally unstable patient killed the nurse when the elevator arrived in the basement. The spirit is blamed for the elevator malfunctioning on occasion and carrying unwilling passengers to the basement. The elevator doesn't respond once it stops at the basement level. The lights turn off, and passengers eventually gives up and leave the elevator, using the stairs to return to the desired floor. When the person arrives on the main floor once more, the elevator is mysteriously waiting for them. Other spirits of nurses are seen throughout the hospital, such as Grey Lady dressed in an old-fashioned nurse uniform, who accidentally overdosed and killed a patient. Distraught, the nurse killed herself. Nurses claim they feel a tap on their shoulders whenever they make a mistake. Upon turning, they come face to face with the Grey Lady, who shakes her head. Before dying, patients ask to thank the nurse in old-fashioned garb for the cup of tea she brought them. People report seeing the apparition of a woman walking through the walls. People claim to see the spirit of a crying young boy seeking his parents. His appearance is said to foretell a death on the wards. Many of the London walking ghost tours include Bart's. The tours don't venture inside since Bart's is a functioning hospital. The Australian psychiatric hospital, Aradale Asylum, was formerly named Ararat Lunatic Asylum. The hospital is located in the rural town, Ararat. Opened in 1865, the hospital remained in use until it was closed in 1998. At one time, the hospital served up to 900 patients annually. The complex is huge with 70 buildings. During those 133 years, 13,000 people died. Destination America states the hospital is one of Australia's most haunted placed. The J Ward housed the criminally insane and was once used as a jail. Three prisoners were hanged in the jail, and their bodies were buried on the grounds in an upright position. Some believe this position prevents their spirits from finding eternal rest. This Is Horror website discusses how the hospital conducted highly controversial psychiatric treatments that are now considered torture. There are reports of many ghostly encounters. People report seeing apparitions of nurses in white uniforms roaming the hospital. Some hear disembodied crying and moaning sounds. People also claim to hear phantom footsteps. Nurse Kerry haunts the women's wing, and some say they see her watching the tour groups from a specific room. Visitors to the old men's surgery wing often complain of sudden pains or the sensation of being touched. Some report hearing banging on walls. The spirit of Old Margaret, a lifetime patient left homeless when the hospital closed, is said to reside at the hospital. There are several types of tours offered. Tours of the J Ward: These tours are available from 10 am to 2 pm Monday through Saturday and on Sundays from 10 am to 3 pm. (Check website for holiday closings.) Rates: Individual $36.00 and family $89.00 (2 Adults and 2 Children ages 12 to 16). Book online. A nightly 2-hour ghost tour at 8 pm: Rates: Individual $36.00 and family $89.00 (2 Adults and 2 Children ages 12 to 16). Book online. Lantern Ghost Tours: 2-hour ghost tours are conducted at 8 pm. Rates: Individual $36.00 and family $89.00 (2 Adults and 2 Children ages 12 to 16). (Check website for dates.) Private tours are available by completing an online form as well. 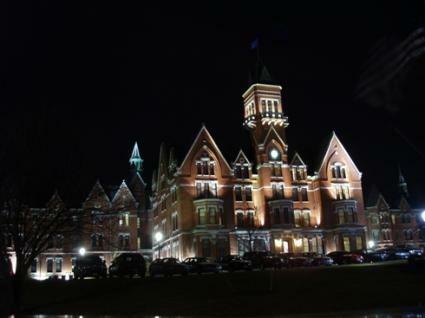 Built in 1878, Danvers State Lunatic Asylum is also known as "the Witches' Castle on the Hill." It was built in the original Salem Village. The nickname reflects the Salem witch trials held in the village. Touted as a state-of-the-art treatment asylum, the reputation quickly deteriorated to little more than a torture camp. Overcrowding became a major issue with the 600-patient capacity expanding to 2,000 patients during the 1940 to 1950 period. Visitors and residents report paranormal activities. People have seen full-bodied apparitions throughout the apartment buildings. Some noticed flickering lights that defy any obvious explanation. Residents and visitors have heard phantom footsteps. Doors opening and closing by themselves are another oddity people report. The asylum was finally closed in 1992. The building was torn down, and an apartment complex was built in its place. There are no tours as the location is now a multi-family housing private residence. 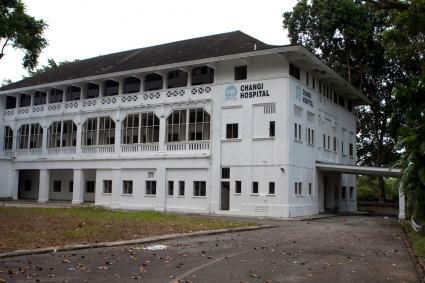 The Old Changi Hospital sits on top of a steep hill, and it originally served as the Royal Air Force Hospital (1930s) until the Japanese captured it during World War II and used it for prisoners of war (POWs). After the war, the hospital was eventually turned over to the Singapore Ministry of Health (1975). However, the facility was closed and sold to a private party in 2006. The abandoned hospital quickly became a favorite ghost hunting site. Ghost stories surrounding the Old Changi Hospital include the spirits of Japanese soldiers and POWs still wandering the buildings. A ghost hunting group claims it witnessed and recorded several paranormal activities during its authorized investigation. The strong odor of blood permeated the air in the morgue and operating theater. Second floor recordings revealed sounds of a trolley squeaking and disembodied moans. Investigators witnessed small flashes of light and heard disembodied voices on the top floor. The cameraman claimed to feel a rush of cold air, and an invisible force made him fall to the floor. The group claimed to have captured ectoplasm from trays, as well as crying, moaning, and muffled screams. The group claims one member destroyed the video evidence out of fear. Stomper Chuan Yeow was cycling and paused in front of the Old Changi Hospital to take a quick video. When viewing the video, Yeow discovered he'd captured a shadow figure in one of the hospital windows. The figure subsequently disappeared. Access to the site was restricted when it was purchased from the government in 2006. There is a police warning sign outside the facility. Do not attempt to venture into the hospital without permission. Considered one of the most haunted places in Tennessee, the Old South Pittsburg Hospital (OSPH) doesn't disappoint ghost hunters. Built in 1959, the 68,000 square foot hospital sits in the South Pittsburg Mountain foothills on the site of a plantation destroyed by fire. Seven children perished in the plantation fire. The history possibly explaining the hospital's haunting includes child abuse deaths, lawsuits, and wrongful deaths. The hospital closed in 1998 and became a hot spot for ghost hunters. Several ghost hunting TV series, such as Ghost Asylum, have conducted paranormal investigations at the hospital. Hospital employees and paranormal investigators have encountered carts, wheelchairs, and even hospital beds moving on their own. People have spotted dark shadow figures moving through the halls and rooms, including a 7-foot tall shadow thought to be a former hospital surgeon. Investigators have heard disembodied voices and captured electronic voice phenomena (EVP). The "Naughty Nurse" seems to reside in the basement. She touches visitors in private regions and whispers entreaties in visitors' ears. The former janitor is believed to pace and even whistle in the basement area. A child is also seen and heard in the basement. Another child plays hide and seek on the second floor. Many other apparitions and spirits make themselves known. OSPH offers the opportunity for independent overnight investigations. The OSPH website states, "Almost every group leaves with experiences." Groups that book an investigation are assured no other groups will be investigating at the same time. Open investigation for individuals (no more than 15): $65 per person. Perhaps one of the most disturbing and bizarre stories is that of the Lier Psychiatric Hospital in Norway. 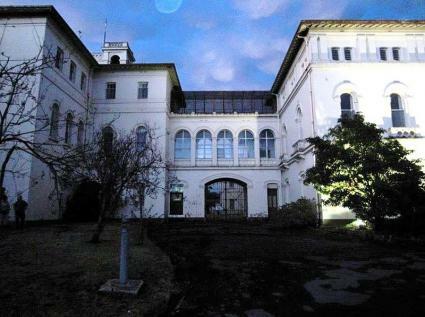 Also known as Lier Sykehus Asylum, the facility is considered the most haunted hospital in Norway. Opened in 1926, the hospital's reputation grew dark and sinister. It's reported that after Word War II, the hospital lobotomized hundreds of patients and as a result, many died. From 1945 to 1974, the hospital conducted secret drug experiments on its patients for pharmaceutical companies. One psychiatrist was tried for illegally administering cannabis and LSD to his patients and himself. Part of the hospital was abandoned in 1985, but other buildings remained operational. In spite of a 2009 demolition order, a preservation group saved the abandoned buildings of the hospital; however, in 2013 demolition plans were to begin and continued in 2017. Many reports of paranormal activity exist. Patients reported hearing strange sounds and seeing shadows and apparitions. Witnesses have seen full-bodied apparitions. People have reported unexplained noises. Some have seen shadow figures darting about the buildings. The abandoned buildings are off limits, and trespassers are warned to keep out. Khayalami Hospital located in Kempton Park is often referred to as Kempton Park Hospital. The hospital opened in 1976 and was touted as the best hospital in the region. Without warning, the 350-bed hospital closed its door on December 26, 1996. No explanation has ever been given although rumors are often discussed that the hospital was severely understaffed. These claims have been contradicted by a former doctor. Patient records and valuable medical equipment were left behind. As for the paranormal activity, there is a legend that one employee was possessed and killed the hospital director. People have recorded sounds of slamming doors. EVPs reveal breathless puffing and disembodied voices. Some have reported seeing shadow figures. Since its closing, the hospital has become a hotbed for paranormal enthusiasts, mostly teenagers and self-proclaimed ghost hunters. Eyewitness News reports that for a fee, guards provide guided access into the building. It's reported that nearly 50 people on Friday and Saturday nights attend these tours. With the hospital being closed, it isn't advised to venture into the building. In 1837, Samuel F. Lee built a family home and remained there until 1913. The county took over the residence and turned it into a nursing home, Tooele Hospital. The locals called the new facility the County Poor House. In 1953, it was officially renamed The New Tooele Hospital. The newer hospital suffered from a lack of facilities, such as simple toilets and a most important one - a morgue. The bodies of the dead ended up being stacked for extended periods while waiting for the local mortuary to pick up. In 2000, a newer and modern hospital opened, and the Tooele Hospital was closed. The next incarnation for the building was a center for the elderly, and then it was sold once more in 2006. This time, the facility was turned into a Halloween haunted attraction under the banner of Asylum 49. Nurses reported hearing disembodied moans and cries in unoccupied delivery rooms. People report seeing the spirit of Samuel F. Lee. Samuel's young son interacts with visitors. People report seeing various apparitions, including a spirit nurse named Maria who is believed to stand guard over a spiritual portal at the location. Ghost hunters have captured EVPs. People claim to have been scratched or possessed by an unseen entity or force. A shadow man believed to be a dark entity has attacked workers and guests. Photos and EVPs have captured a little girl named Jessica. Asylum 49 is open on weekdays (3 hours) and weekends (5 hours) and on set dates during September, October, and November (always check website for changes). Admission is payable in cash only. Many hospitals believed to be haunted have been demolished while many others are simply abandoned. Some hospitals have been sold and individuals own them. Always gain permission to conduct a paranormal investigation instead of trespassing onto private property.